I'm trying my luck to win at Faye's blog contest right now. It will end this Sept. 8 so I still have time to join. She has some cool prizes for everyone, though an HDTV is not included as one of the prizes, she's still generously giving away 3 items. Any one can join even if you're living overseas because she'll ship it. 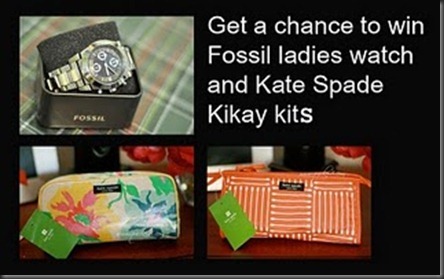 Here are the prizes at her blog contest.